SINGNET BROADBAND DOWN! SERVICES ALSO DOWN! You are at:Home»Caught In The Act»SINGNET BROADBAND DOWN! SERVICES ALSO DOWN! 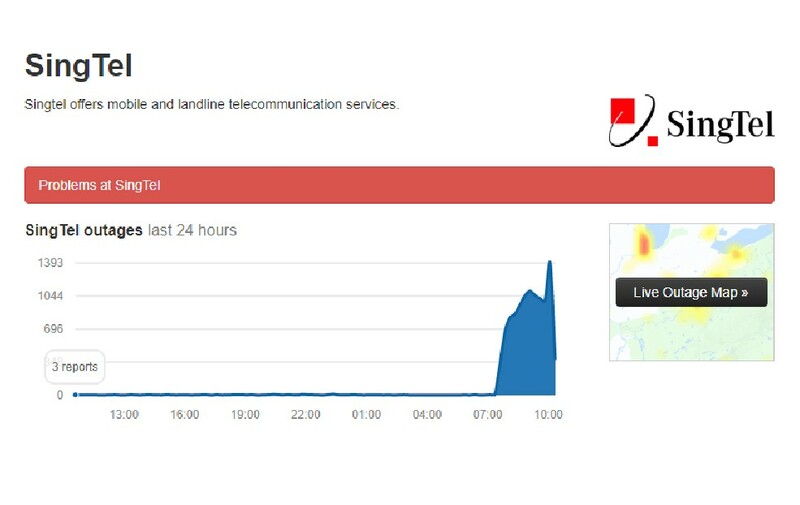 According to the image from isitdown.com reports started after 7 am and has increased to over a 1000 reported cases in the past hour. According to reports, Singnet broadband is currently down in many areas of Singapore such as Choa Chu Kang, Tampines, Woodlands, Jurong, Bedok, Thomson, Tiong Bahru, Holland Avenue, Toa Payoh, Bukit Panjang, Katong, Marine Parade, Hougang, Queenstown, and Punggol. 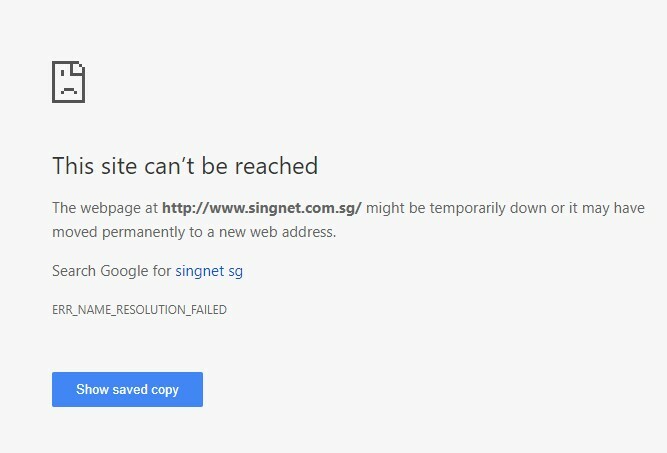 As of 10.37am, Singnet.com.sg is also not accessible. Companies using Singnet DNS services to host emails will also be affected. Let’s hope SingTel can resolve this soon. Previous ArticleINTERIOR DESIGNER TAKE DEPOSIT AND NOTHING DONE! Next Article SCAMMERS POSING AS IRAS OFFICERS! BEWARE!